Like many a movie studio adventurer in an age when “adventuring” is not a risk-averse strategy, Universal has been creeping through the tombs of its library, digging out reboots for musty old properties like Frankenstein and The Wolfman regardless of how recently they already did that. 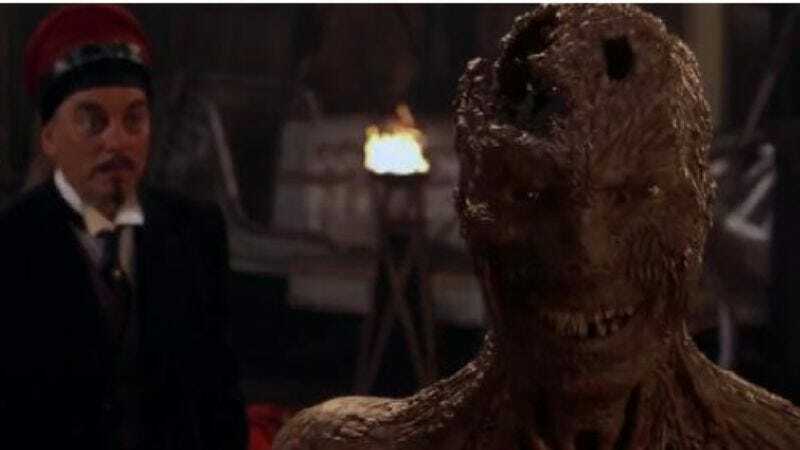 So it was only a matter of time before they re-unearthed The Mummy—Stephen Sommers’ loose 1999 remake of 1932’s original Mummy movie—which spawned its own still-running series of sequels and Scorpion King spinoffs, and is now being wrapped up in yet another fresh layer of reboot gauze by Prometheus co-writer Jon Spaihts. Variety reports that franchise producer Sean Daniel will return to produce an all-new reboot of his reboots, about which Spaihts rebooted, “I see it as the sort of opportunity I had with Prometheus: to go back to a franchise’s roots in dark, scary source material, and simultaneously open it up to an epic scale we haven’t seen before,” and certainly not in the charmingly retro Mummy films that were released in the mid-’00s, back during filmmaking’s nascence. After reading Spaihts’ plans for the reboot, an excited Universal went ahead and optioned a reboot of the reboot of the reboot, with a possible reboot of the reboot of the reboot of the reboot to be rebooted later.